From a very young age, children can reap the benefits of books and begin to develop beneficial pre-reading skills. Reading can help children grasp the importance of following the text from left to right and knowing when to turn the page. Moreover, children will be exposed to new vocabulary, learn new phrases and expand their understanding of the world around them when they read about different topics and see various illustrations in the books they read. 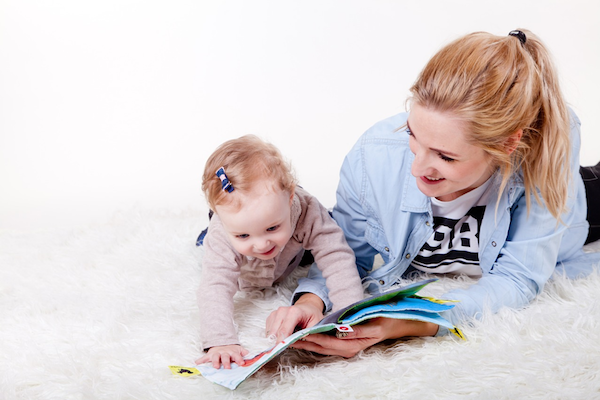 Many young children’s attention spans can be quite short, so reading can also help your toddler to extend their concentration and focus for longer periods of time. These skills will be useful in preparing children for education. There are books tailored to every age group to engage and inspire reading; quiet books are designed specifically for babies and toddlers to encourage reading early on. Many are made from fabric, making them soft, machine washable and – for teething toddlers – chewable… meaning no more gnawed cardboard books! However, for older toddlers, there are also quiet books made from a sturdy cardboard to choose from; these can be attached to prams and are perfect when taking your toddler for a stroll. With bright and colourful designs created especially for younger children, quiet books are great for moments when children need to focus – for example, when travelling in the car or in their pram. From renowned tales to enjoyable animal stories, you will be spoilt for choice when it comes to quiet books for toddlers! To help you out, this blogpost will be discussing five of the best quiet books for toddlers. Lion and Wild Animals is a quiet book filled with bold, mesmerising illustrations and vibrant colours to capture your toddler’s attention. 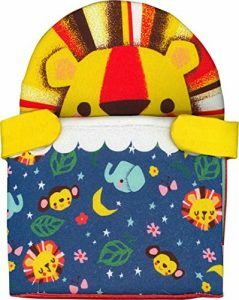 Ideal for cots,toddlers will love how the lion’s “arms” open to reveal a banner of colourful pages decorated with adorable animals. Additionally, the picture-book nature means it is suitable from birth and would make this a wonderful gift for newborns. Another example of one of the best quiet books for toddlers is A Tiny Little Story: Zoo. It is excellent for babies from birth with its simple colourful design and soft textures. 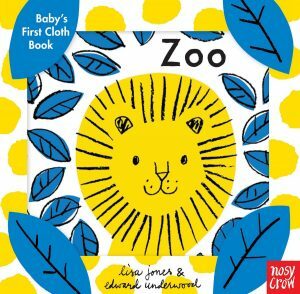 This cloth book presents bold animal images with high-contrast patterns to support children’s first words. 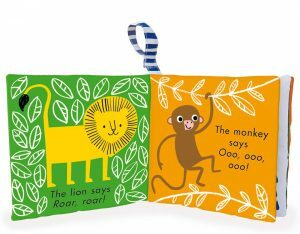 With a story that’s easy to follow, roaring lions and hissing snakes will intrigueyoung children as they learn all about the different animal sounds. For little ones who are teething, there are a variety of quiet books for toddlers with teethers attached. 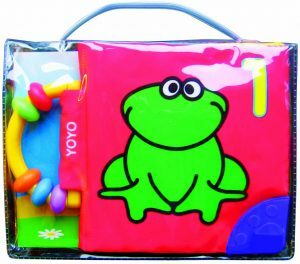 One example is Soft Frog Book with Rattle and Teether. This versatile quiet book has fun pictures that are bright and clear to entertain toddlers. The pages are padded and soft, with some crinkly pages to provide an additional sensory experience. What’s more, the rattle simultaneously acts as a handle for children so they can easily carry the book around and the teether is handily placed in the corner for toddlers to chew on. Some quiet books for toddlers are based on well-known children’s classics. 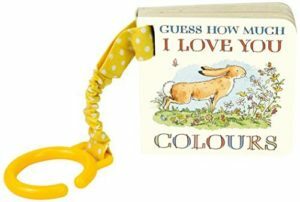 Guess How Much I Love You: Colours is a charming little pram book providing a warm and engaging read for little ones. In this story, young readers are introduced to different colours in the world around them including a yellow butterfly, a blue bird, a red ladybird, a green frog and rustling brown leaves. With a thick cardboard cover and a convenient velcro strap that can be attached to prams and car seats, this book is the ultimate travelling companion! We’re Going on a Bear Hunt is another example of classic quiet books for toddlers made from tough cardboard. 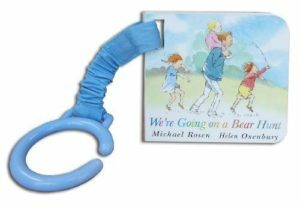 This clip-on buggy book version can be taken anywhere and fascinate even the youngest of readers with its famous chant-along lines. Little ones can learn the phrases through the repetitive nature of the book and enjoy the delightful illustrations. Ideal for adventurous tots and bear-lovers, We’re Going on a Bear Hunt is a lovely choice for a quiet book.